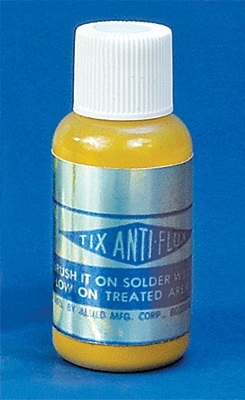 Tix Anti-Flux prevents solder from flowing to unwanted areas. Brushes on easily. 1/2 oz. Click the button below to add the TIX SOLDERING ANTI FLUX, 1/2 OZ to your wish list.